Welcome to the story of the oil portraits painting of Tilly. 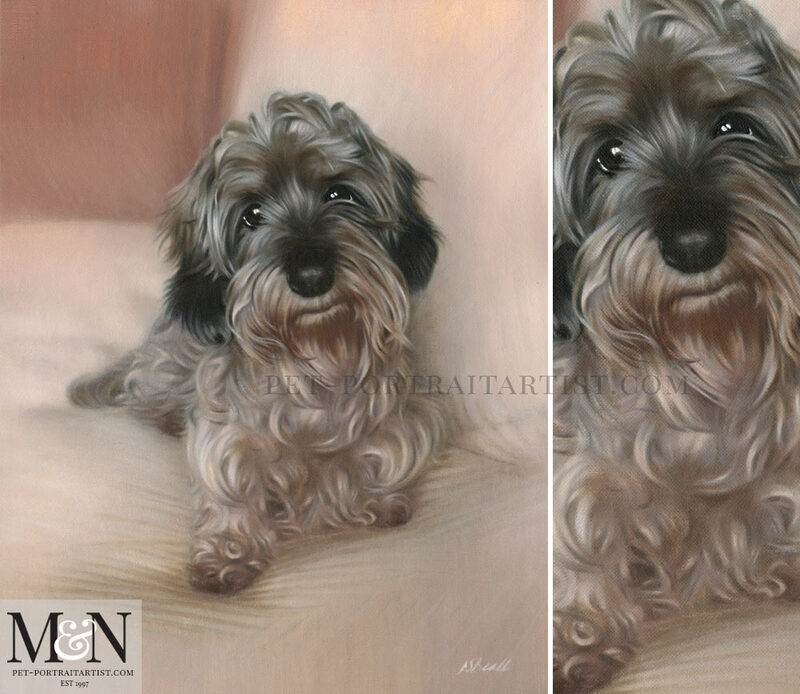 Nicholas painted this beautiful portrait of Tilly for our client Diane. 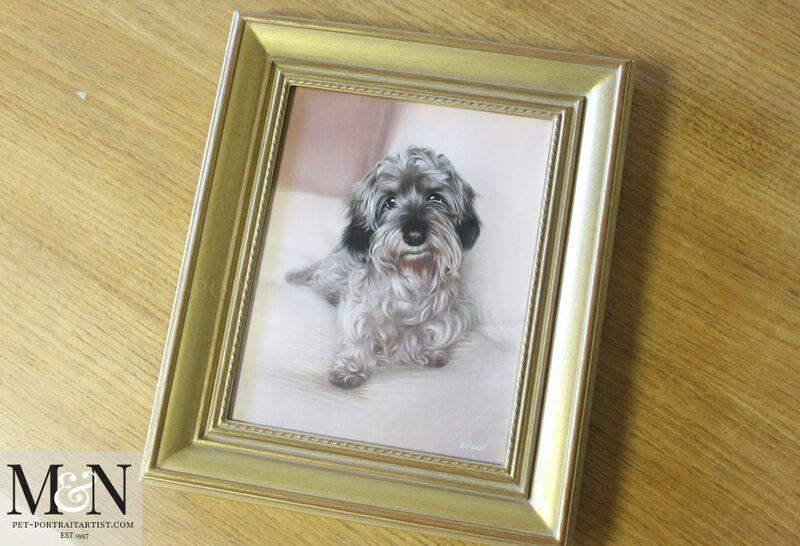 Tilly’s oil painting was created to 14 x 11 size in traditional oils on Italian linen fine grain canvas. If you scroll further down, you will be able to see all of the stages in progress of the oil painting, some with Nicholas working on them with his brush in hand along with Tilly’s oil painting framed. Our client Diane called the studio and thanked Nicholas personally for creating the portrait for her. We both know that the painting will mean a great deal to Diane as she misses Tilly so much. 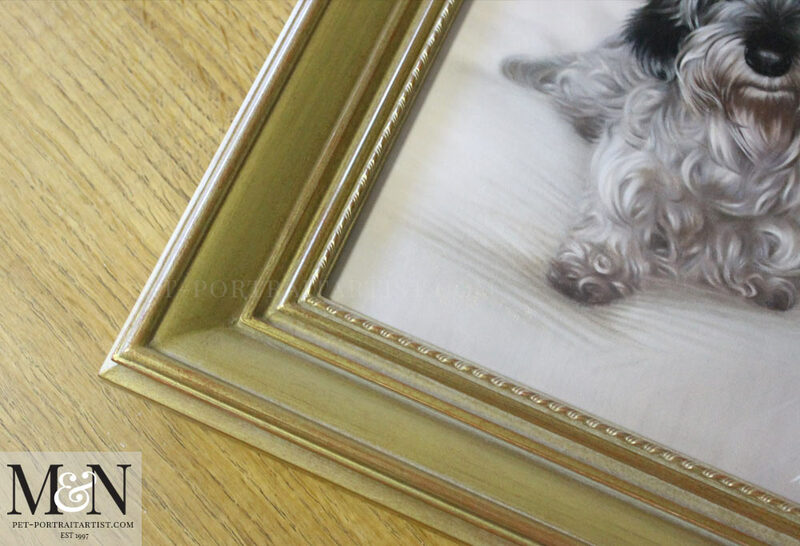 We chatted with Diane once the portrait was complete about the kind of frame she wanted for Tilly. We showed Diane a number of options. There is always plenty of choice and it is often difficult to decide! Diane chose our beautiful Highgate frame. This is a relatively new frame for us and our framers hand make them individually for each of our clients and they are absolutely stunning. 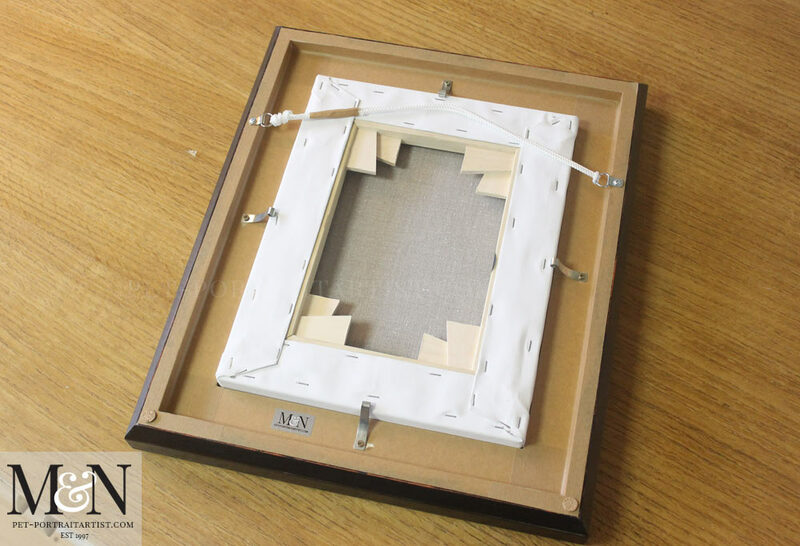 I have taken a video of the frame which you can see below and I have added it to our Highgate Framing page on our website. 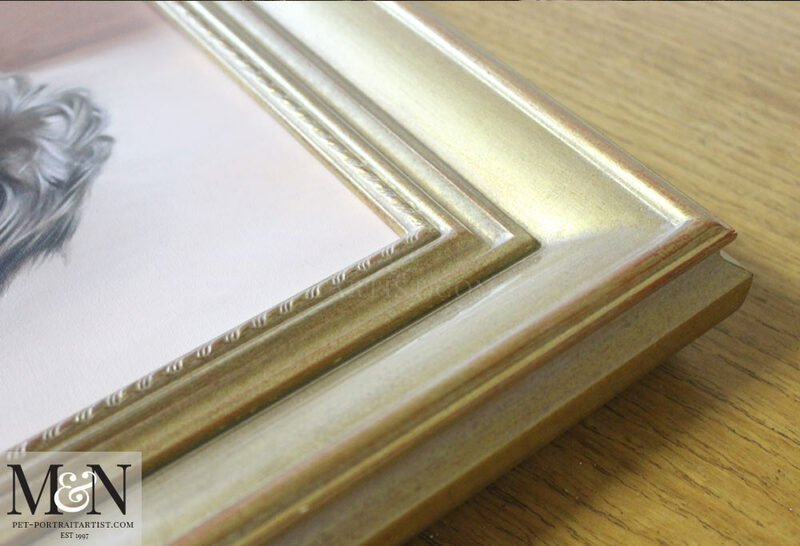 This way clients can see it in more detail, in case they would like to commission the frame too. Here are a few photos I took before packing Tilly’s painting up safely. It seems like the very first thing he captures is the personality, even if the portrait were never finished, it would be compelling. Thrilled you love this portrait Kathleen, he does have a good knack for capturing them. Tilly’s sweet little face shines through even in the early stages 🙂 I hope that you are keeping well!